The former hedge fund of one of the Democratic Party’s most important donors was allegedly involved in a scheme to defraud foreign investors out of tens of millions of dollars, according to documents filed in a Texas court. 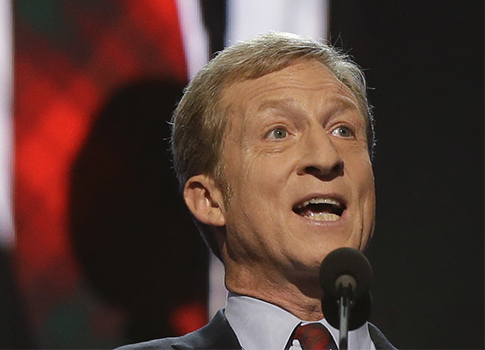 Farallon Capital Partners L.P., a fund run by Farallon Capital Management, the multibillion-dollar hedge fund founded by Democratic donor Tom Steyer, became a limited partner in a project to build a large shopping mall near Seattle, Wash., in the mid-1990s after it guaranteed a line of credit for the project. A “Ponzi scheme” in which the companies planning to build what was to be called the Washington Supermall “transfer[red] millions of dollars in funds through ‘loans’ and ‘advances’ to other unrelated entities,” the plaintiffs alleged. The case, which was dismissed on jurisdictional grounds—the court agreed with Farallon that it didn’t operate in Texas and hence could not be sued there—is being re-examined by the Republican politicians and activists scrutinizing the record of the billionaire and controversial environmentalist, who has pledged $100 million to help Democrats in this year’s midterm elections.